Marile & David- December 09th,2017!! 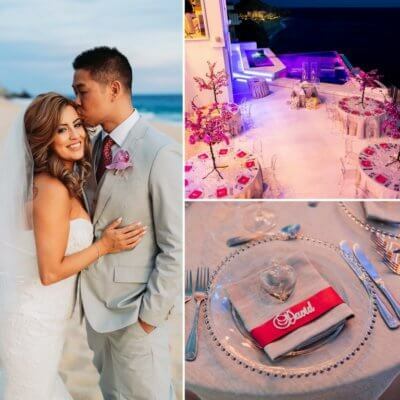 Cabo Linens, things and more… as our wedding showcase designers went beyond our expectations. The way they are able to show images of what it would look like: the breakdown of the colors, the tables, the flowers, the altar, etc… It was Amazing! Thank you so much Marianna and team! We appreciate you for making our vision come true!! This entry was posted in Testimonials and tagged Wedding Decor in Los Cabos.